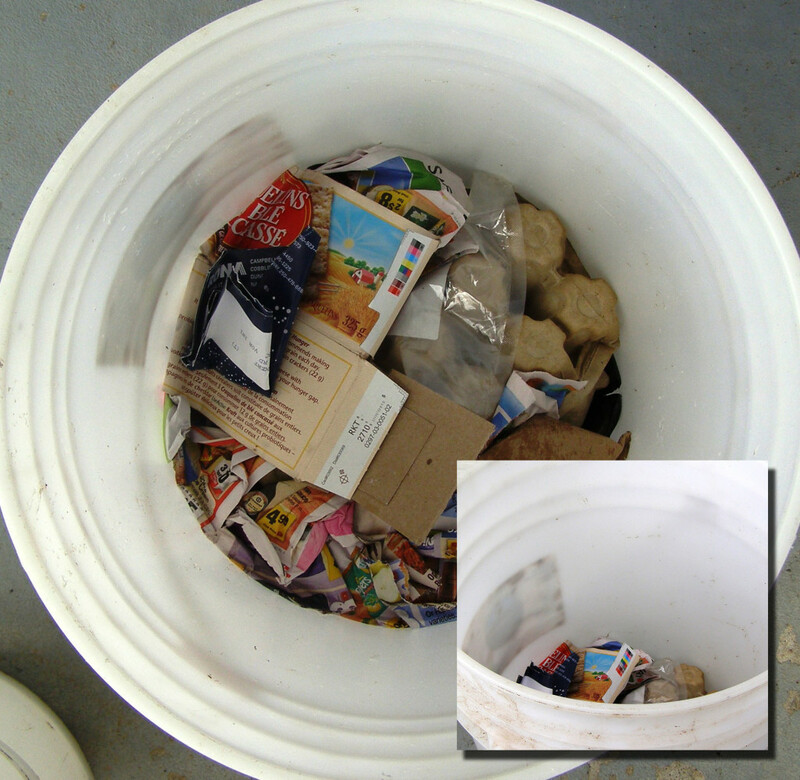 Lately I’ve been extending the already large capacity of my 5 gallon garbage can by using 2 buckets to compact trash. 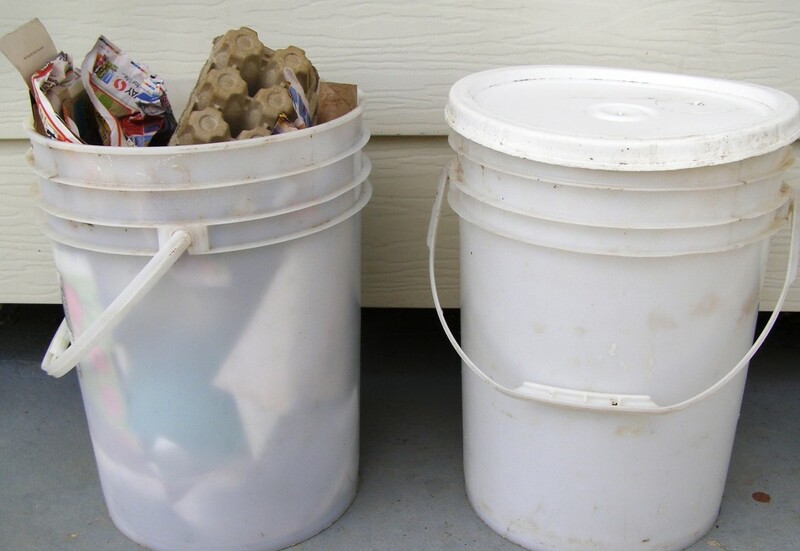 Both buckets should be exactly the same size and shape so they can nest nicely into each other. I call bucket A my “trash bucket” and bucket B my “squish” bucket. I keep a lid on the “squish” bucket so I can sit on it to let my own 180 pounds cram an entire can into one compact sedimentary layer. I find that this doubles or triples what I can stuff into 5 gallons. Since I compact it so dense, I use a stick or pole to pull it all out once I’m finally ready to take it to the dumpster. Consider cutting off the bottom of the lower bucket, then set the bucket back on top of its cut off end. Then you can compact stuff as before, but you’ll be able to simply press out the puck of stuff when you want. Same trick for cans of thick goopy stuff like tomato paste. Why try to spoon it out, just cut off BOTH ends of the can and press the stuff out. @JBB: I like your idea, but to further improve, you could cut a smaller diameter out of the bottom of your lower bucket, and then take the bottom off another (sacrificial) bucket and place that inside (maybe one that has a crack in the side or something, so you’re not wasting). That way, if you happen to pick up your bottom bucket early on, nothing will fall out, but you can still press out the puck of garbage when you’re finished. 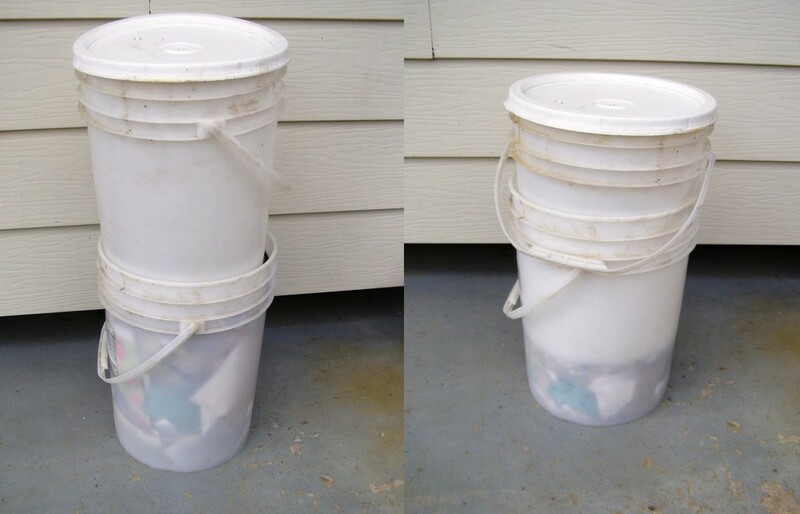 Could you “wrap’ the bottom bucket (sans bottom) in a 13 gallon trash bag and then dispense right into the trash bag when done?